I get pretty excited about acquisition — the marketing and growth activities that get you new users, free trial signups, customers, and raving fans. Building and defining that marketing engine you’ve always heard so much about but not entirely too sure how to approach it? That’s got my name all over it. To me, it’s like meeting someone for the first time and getting to know all of their likes, dislikes, dreams, and realities. And since I’ve been working with startup founders since starting DemandMaven, I was both honored and THRILLED to share the frameworks and processes I’ve adopted, honed, and implemented for my own business and my clients. 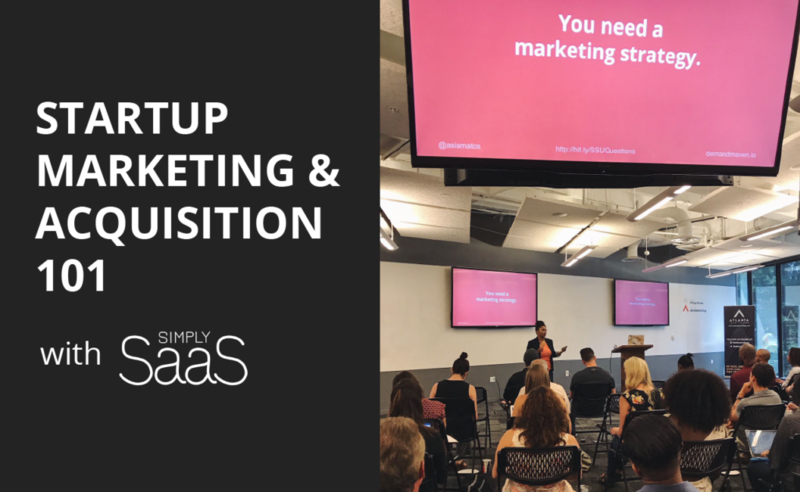 Last week, I gave a talk on this exact subject for one my favorite communities: Simply SaaS over at Atlanta Tech Village. The founders in the room came from different backgrounds, markets, experiences, and products. We also had a decent number of marketers in the room! Some came from agencies, some from SaaS, and others from enterprise businesses. But honestly, it doesn’t matter what industry you’re from or what your background is. You’ll be able to apply these concepts to your product, service, and marketing department without a sweat. The context (for the most part) remains the same: you need to build a marketing engine, and to do that, we start with the fundamentals: the customer! The only thing that changes is the goal you pursue, whether that’s new MRR or booked demos or maybe even just customer feedback. A video of the entire presentation is coming soon, but if you’d like access to the slides, check out the above. Yes! @AsiaMatos recommends: install a free analytics tool and start watching how your customers interact with your product. 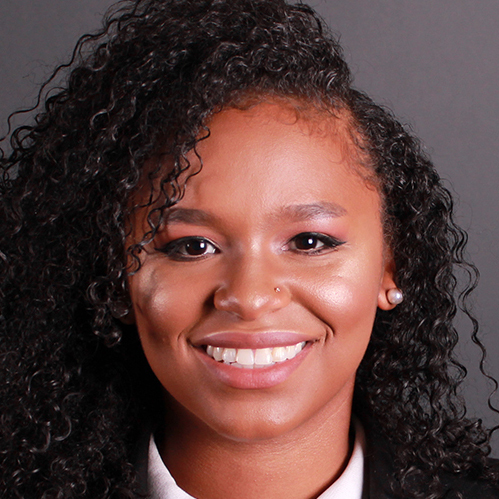 I'm a growth and marketing consultant and I help founders of software and SaaS companies demystify their marketing strategy and build a marketing engine that gets them their first $100K MRR. If you want to learn how, subscribe to my updates and follow me on social. Actionable, repeatable marketing advice for founders. No bullsh*t. Only results. There's a lot of marketing advice out there for founders. And some of it's really good, but most of it's very misleading. That's frustrating for a founder. Great marketing shouldn't feel unattainable. It should be demystified, instill confidence in the process, and ultimately get results. My goal is to eliminate the fluff and teach you exactly what works—through actionable content for your website, campaign strategy, traffic-building content, and optimization. Awesome! You're officially on the list.